Tropical Storm Bill has formed. The National Hurricane Center has issued a Tropical Storm Warning for the coast of Texas from Baffin Bay to High Island. 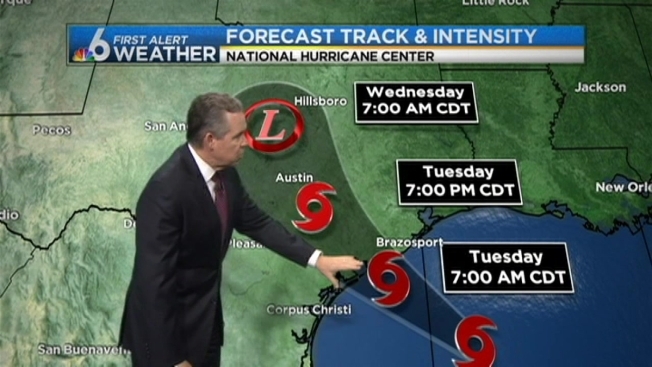 Bill is expected to bring heavy rainfall to portions of eastern Texas. The center of Tropical Storm Bill was located near latitude 27.1 North, longitude 94.2 West. area along the Texas coast Tuesday morning and move inland over south-central Texas Tuesday afternoon and Tuesday night. Tropical storm force winds extend outward up to 160 miles from the center.